MALACCA, Malaysia: Giani Ran Singh, the revered head granthi at Gurdwara Sahib Malacca, succumbed to colon cancer at the Mahkota Medical Centre here early today (Jan 22, 2015). He was 87. Giani Ji, who was fondly called Baba Ji by the local sanggat where he had served for the past 27 years, was surrounded by his wife and five children when he breathed his last. A man of a very few words but whose distinct barritone voice always kept the sanggat in awe during keertan sessions, Giani Ji was always sought after for advise by the sanggat from near and a far. When on the stage, Giani Ji, who always wore a smile, was also a popular “story teller” and his witty remarks always had the sanggat in stitches. He was admitted at the medical centre on Jan 9 after complaining of abdominal discomfort. Doctors then performed a thorough medical check up and discovered that he was suffering from stage four cancer. They then performed surgery on him to reduce his misery so that he could live his last days in solace. His 74-year-old wife Harcharan Kaur said Giani Ji had not shown any symptoms of being ill prior to his passing. “As far as I can recall, my husband had never been warded in a hospital for even a single day his entire life. He was very conscious about what he ate and also a stickler for exercise,” she said. Harcharan said Giani Ji had also undergone an appendicitis surgery at another private hospital here in December. “He was hale and hearty after that and the local sanggat was so happy for him. We never knew that the cancer had actually ravaged his body and that he only had days to be with us,” she said. Giani Ji’s children Sukhdev Singh, 55, Sukhdarshan Singh, 53, Gurdip Kaur 50, Jasbeer Singh, 49 and Surinder Singh, 47 had been taking turns being with him at the hospital since his admission on Jan 9. Harcharan said Giani Ji, who hailed from the Raike Kallan village in Bathinda, Punjab, came to the then Malaya in 1953 at 26, accompanied by a maternal uncle. He first did sewa at Gurdwara Sahib Batu Arang and then went on to serve at gurdwaras in Serdang and Bentong. “He was in Bentong for five years and that was where we got married in 1957,” said Singapore-born Harcharan. Giani Ji then served for a few months at Gurwara Sahib Kuala Lipis and then had a four-year stint at Gurdwara Sahib Batu Pahat. He then returned and served another four years at Gurdwara Sahib Port Klang and another two years at Gurdwara Sahib Kg Pandan. “We lived 15 years in Tapah,” she said. [Corrected]. 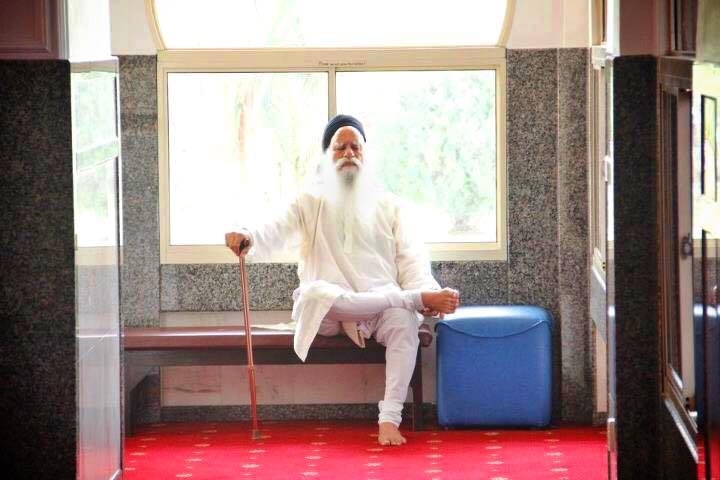 In 1982, Giani Ji moved to Gurdwara Sahib Seremban. Then, in 1987, Giani Ji, upon the request of a few Sikh families in the United Kingdom, decided to do sewa at a gurdwara in East Leigh, Southampton. However, he became homesick after a couple of weeks and decided to return home. Upon his return, the Gurdwara Sahib Seremban committee offered Giani Ji his previous position but he politely declined and moved on to Gurdwara Sahib Malacca where he served with distinction till his death. RIP Giani ji,I can never forget your fatherly advices and encouragements whenever I visited Gurdwara SAHIB Melacca. You wil be greatly missed.Waheguru Kipa. We All Are Just Visitor On This World, When The Time Come, We All Have To Go To Him, May Waheguru Bless His Soul. Waheguru Ji Ka Khalsa Waheguru ji Ki fateh Jios. Gianni Rann Singh was a good family friend….we were quite young back in the 1960’s when he was serving in Tapah and my dad was serving in Telok Anson (Telok Intan now). He used to drop in once in a while to share pointers on kavita writing and kirtan raags with dad.He was very impressed witht he way my dad had formed his own Kirtan jatha called Daler Jatha and often expressed his wish to do the same with his children. A very nice man, a Gursikh and a Granthi of integrity belonging to the soon ending Generation of Local Malaysian Granthis.He will be missed. Gianiji left a huge void in mny hearts…nevatheless we wil al pray that he be accorded a special plc in d eyes of our GURUJI. RIP Giani ji. We have lost another icon in the community. But life have to move on as nothing, except ‘NAAM SIMRAN’ is permanent in this world. Pray Giani ji merges in the original pure universal Soul.